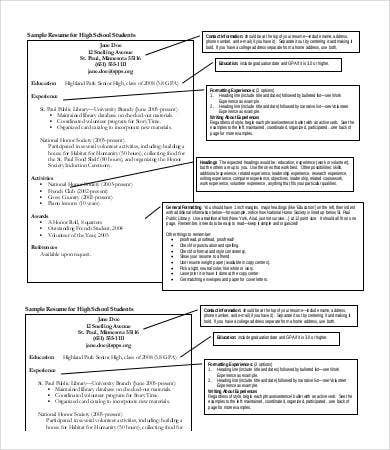 You just graduated from high school, and college does not seem to be in your plans yet. Instead of staying at home and waiting for things to go your way, take action in your life and get yourself a job. 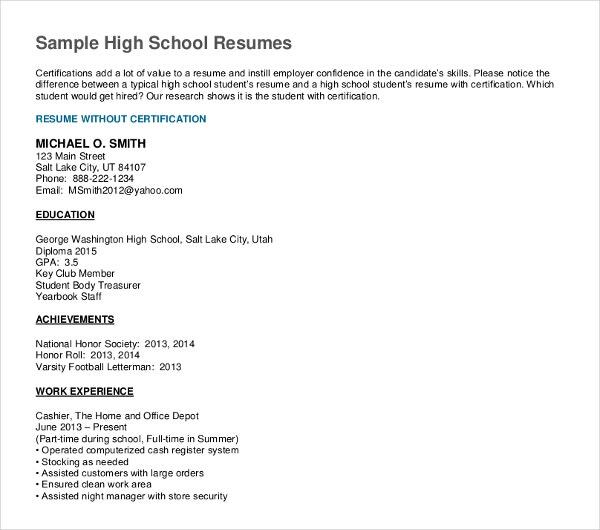 Having only a high school diploma, you may hesitate to apply for a job. However, this shouldn’t worry you. 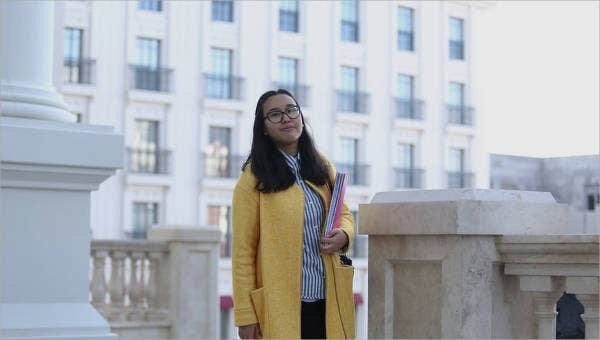 In fact, your educational attainment will look less significant compared to what you can offer in your résumé and in interviews. 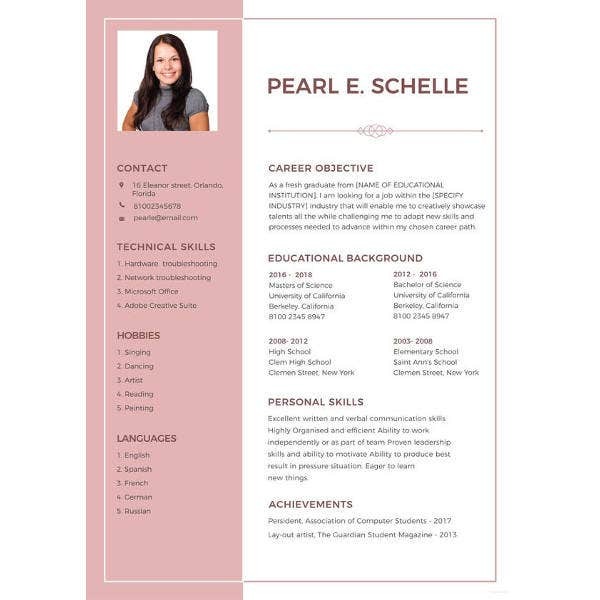 We have in stock blank resume templates that will help you create your own from scratch if you could not find the templates you’re looking for here. Just make sure that these skills genuinely describe your capacity, and you should have real-life experiences and skills to prove your worth. 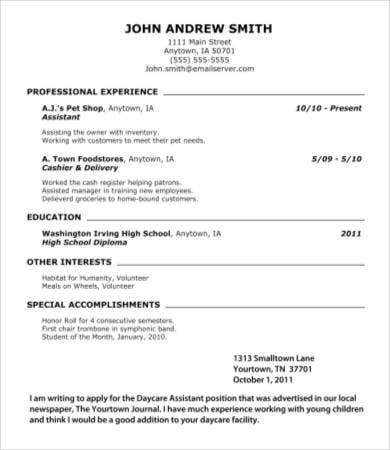 Résumés are powerful tools that create a lasting first impression. 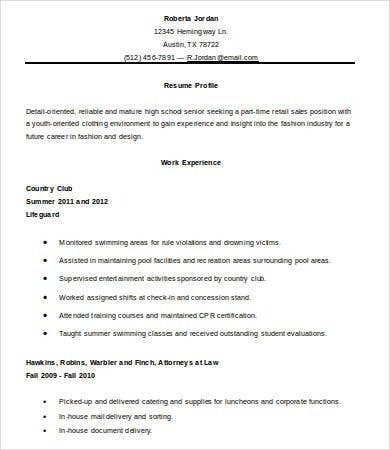 This document is the first step to have so you could land an interview. 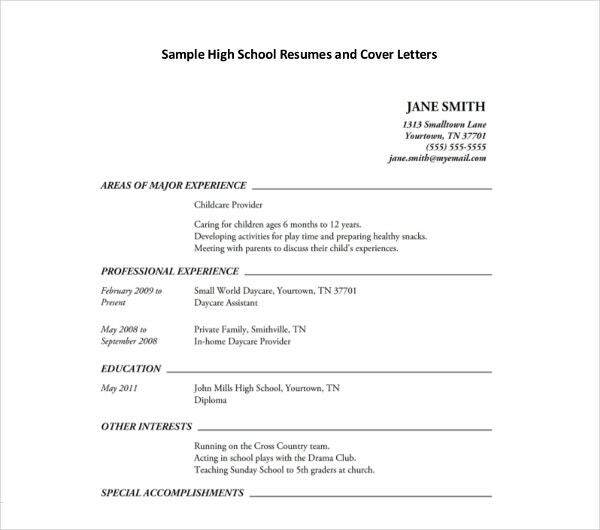 To look competent and highly skilled, grab a few high school graduate résumé templates from our collection and combine one or two together to create the one that fits you the most. 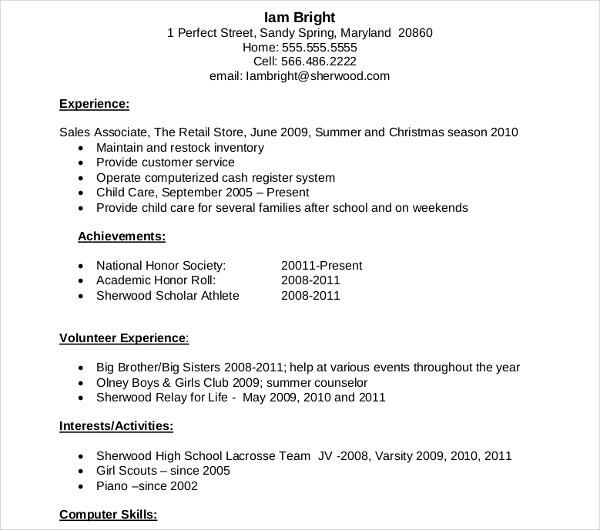 You may also see Classic High School Resume Templates. 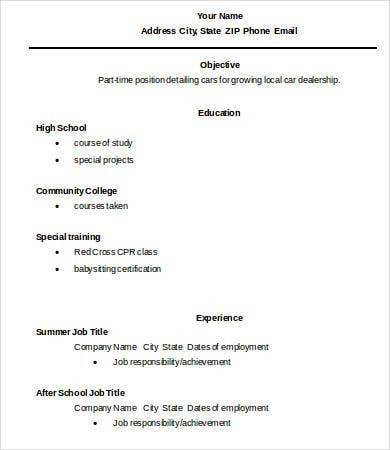 Each template is composed of the proper content and format that would surely attract more than just a single employer. 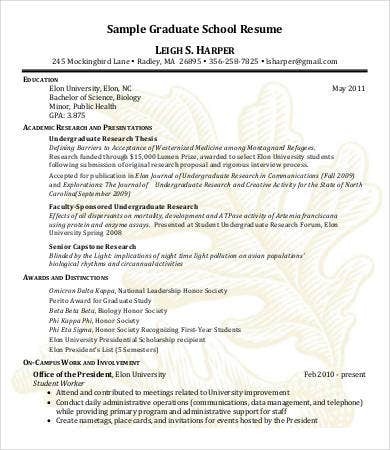 Aside from résumés, we offer a stock of cover letters available as supplementary files. 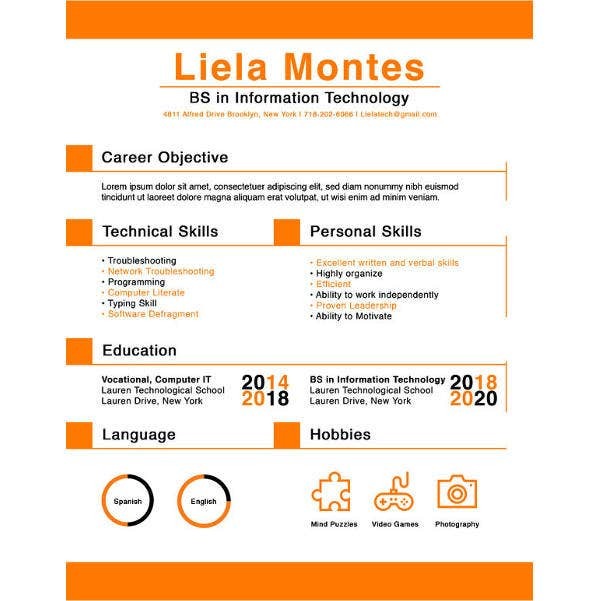 These templates are easy to edit since they are either in Microsoft Word or in PDF file format. 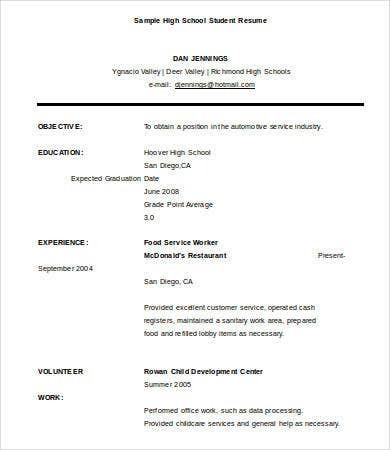 You may also see Teacher Resume Templates. Review past mistakes and prevent doing them again. Rehearse answers for common interview questions. Be ready and stay calm. Answer what you know; never bluff. 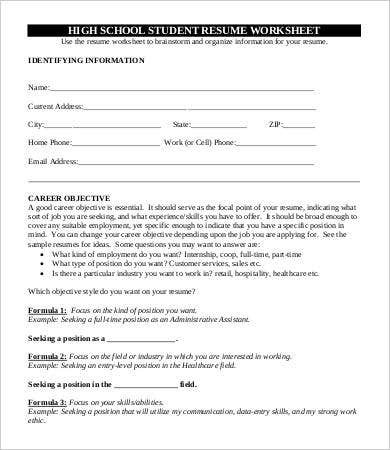 Show how interested you are on the job.